Always fancied being a character in a Japanese Manga? Then go to Tokyo Bar and you do not even need to dress up, for the restaurant is sufficiently and wackily decked out already. 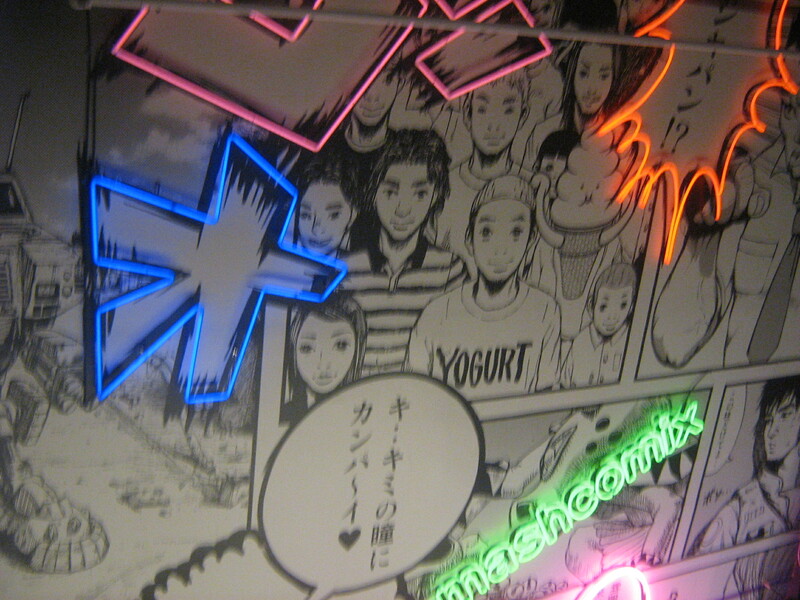 Giant comic strips act as wallpaper, speech bubbles and random japanese words light up the ceiling in neon, and the bathroom is painted in pink and glitter. Not to mention the dj who incredulously plays bad 90s pop on slow weekends. It is all cool, if not a little out of place in staid Tribeca, which could explain why it was emptier on Saturday than on a Thursday, when office workers in the offices nearby drop in for the happy hour. A place with such a busy decor and high ceilings really need a crowd, and feels sadder than usual when sparsely filled. Even for those who may be overwhelmed by the decor, a visit to Tokyo Bar is still warranted. While named a bar, it is really a restaurant serving very decent renditions of Yoshoku cuisine, aka Western food interpreted by the Japanese. The omu-rice I ordered my first trip there with Karen was on point, a generous mound of chicken fried rice encased in a fluffy, almost runny omelette. 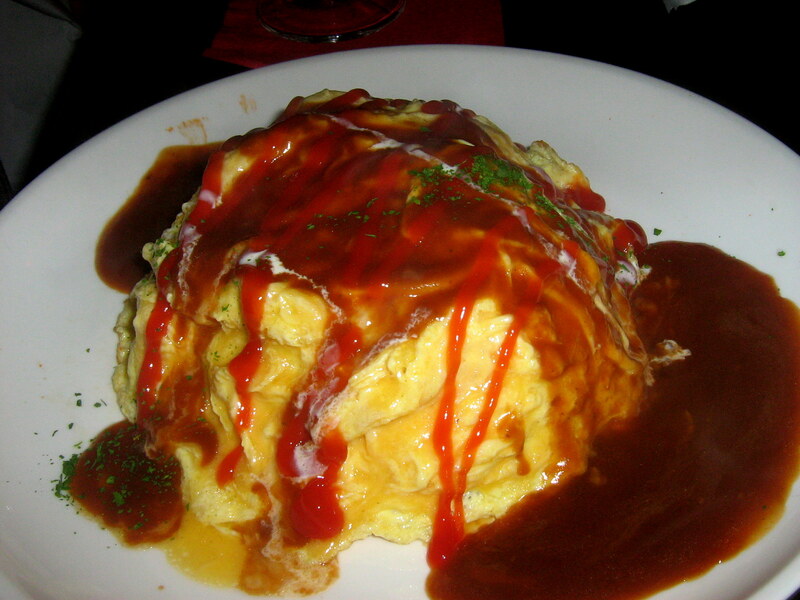 A perfect bite entails some rice, a little bit of egg, and a good spoon of tangy ketchup and demiglace sauce piled neatly in one spoon and eaten in a single mouthful. 2 days later, I convinced Dawn to order the omurice so I could legitimately “share”. Besides omurice, I’ve also tried the spaghetti, with berkshire sausage instead of beef bolognese; fried rice, and certain appetizers. All were adequate to good. The desserts were interesting, the genmaicha creme brulee smelled redolent of japanese tea and toasted rice; while the pumpkin soup with celery sorbet was unique and light, although I can’t say I appreciated the flavor mix nor the grainy texture of the soup. Next time, maybe I’ll get another omurice for dessert.